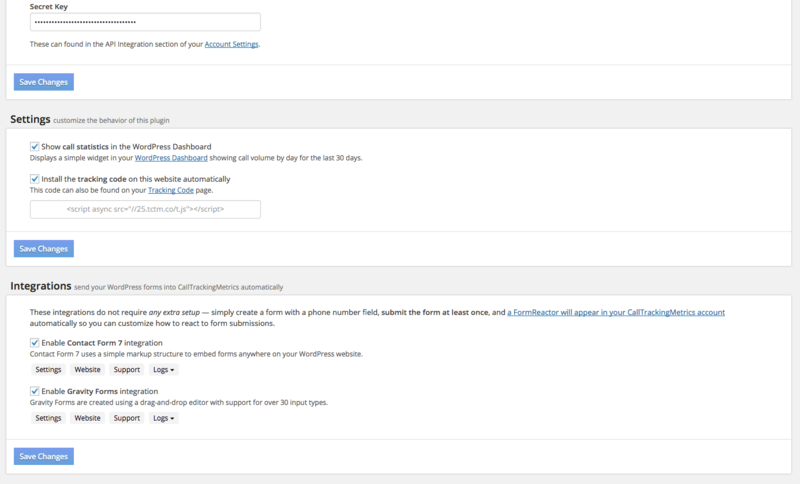 Once installed, go to the settings menu in WordPress and choose “Call Tracking Metrics.” You will notice that you need to enter the tracking code from your CTM account into the box at the top. You can either enter in the API KEY or the tracking code. 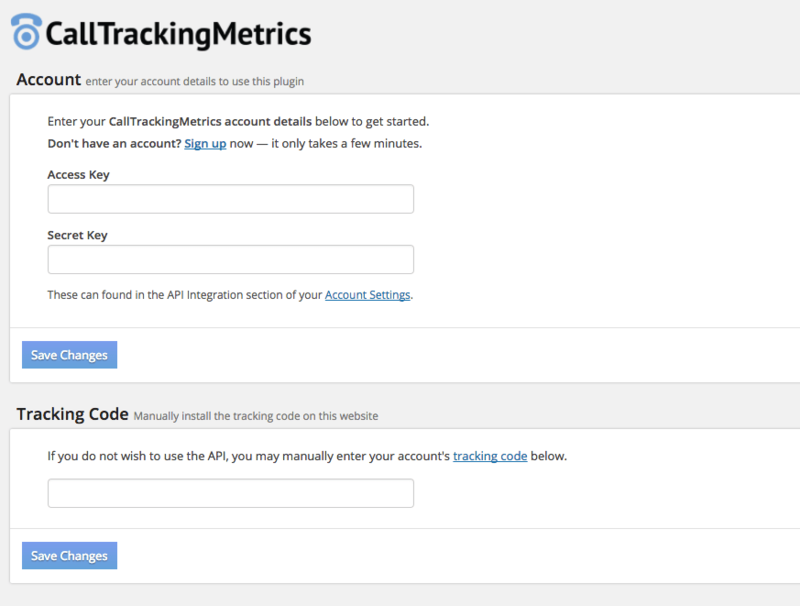 If you enter in the API we will automatically get the tracking code. Once the API is entered you will get options to show settings and can use our integration with contact form 7 or Gravity forms.